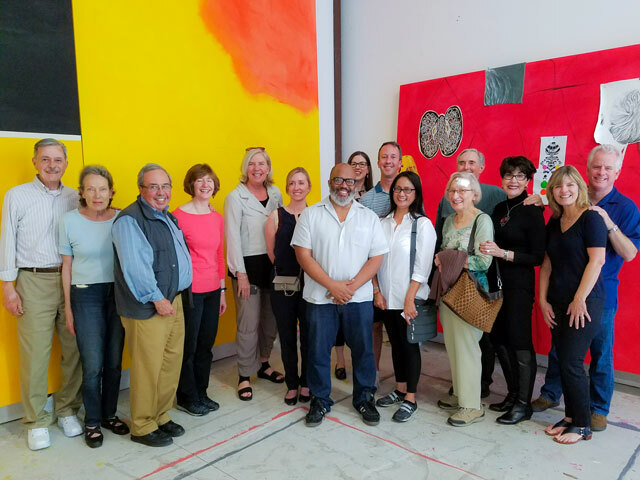 The Council of 100 with artist Trenton Doyle Hancock at his studio in Houston, Texas. Want to travel to cultural sites in the Bay Area? Beyond California? Abroad? As a member of the Council of 100 you can participate in Museum-sponsored day trips in the Bay Area and beyond. As a member of the Director’s Council, you can accompany key Museum staff on exciting national and international trips. To learn about upcoming art travel opportunities contact Kristin Bertrand at 408.271.6885.